Lough Fee Cottage is a bright and welcoming detached cottage set alongside the lough, six miles from Tully in County Galway. With four bedrooms, a shower room and a separate cloakroom, the property can sleep up to nine people. There's also a kitchen with solid fuel stove, a dining room seating six and a sitting room seating six, also with a solid fuel stove. Outside, there is a front lawned garden with furniture plus off road parking. Lough Fee is an excellent County Galway cottage, on the edge of the lough, providing a perfect base for your Connemara getaway. 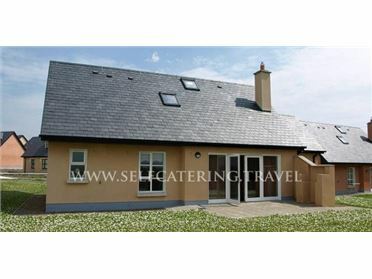 The seaside village of Tully sits on the picturesque Renvyle Peninsula, County Galway. The village lies on the Atlantic Ocean, and fishermen still land the daily catch on the small pier by the beach. The village has two bars, a post office, a supermarket and a horse-riding centre, as well as Teach Ceoil, a music house which holds traditional evenings of music each Tuesday evening during July and August. A wonderful base for a relaxing Irish holiday. Oil central heating with solid fuel stoves. Electric oven and hob, microwave, fridge/freezer, washer/dryer, dishwasher, TV with basic Sky, radio. Fuel, power and starter pack for stoves inc. in rent. Bed linen and towels inc. in rent. Ample off road parking. Front lawned garden. Sorry, no smoking. Shop and pub 6.5 miles..